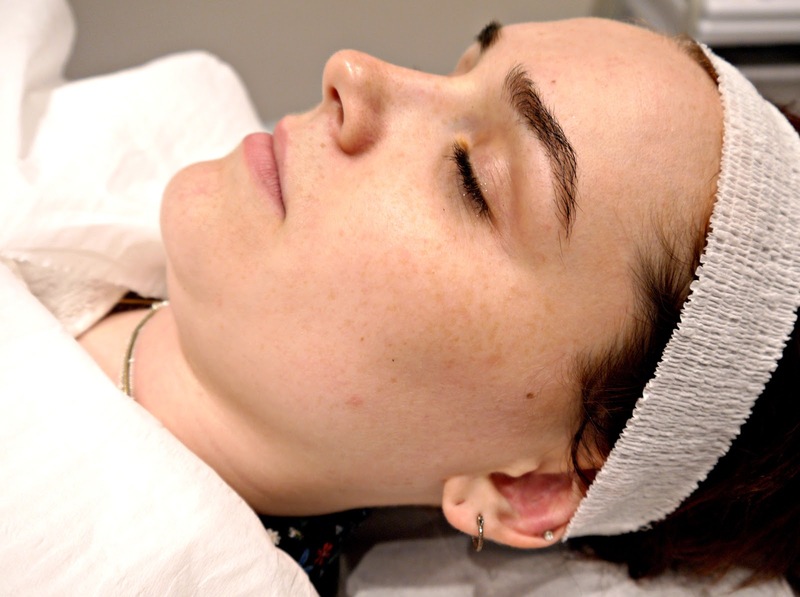 What are the benefits of dermaplaining? "I'm so proud of you!" Exclaimed Antonia, the beauty therapist I see regularly at Woodlands Beauty Clinic. 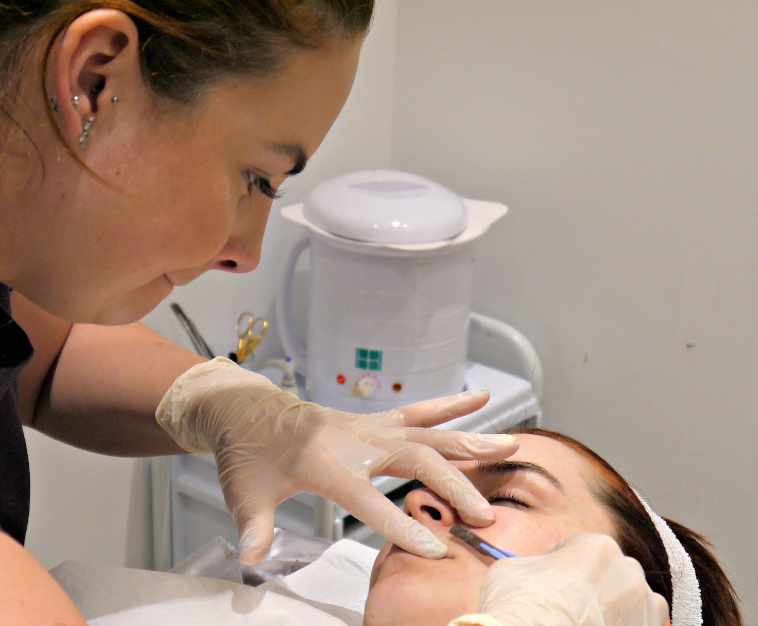 Coming from somebody who was particularly nervous about simply having her eyebrows waxed, my next beauty endeavour dermaplaning was quite a step up. Woodlands are now offering a dermaplaining treatment* for £55 and I was very kindly invited by the team to give it a try. 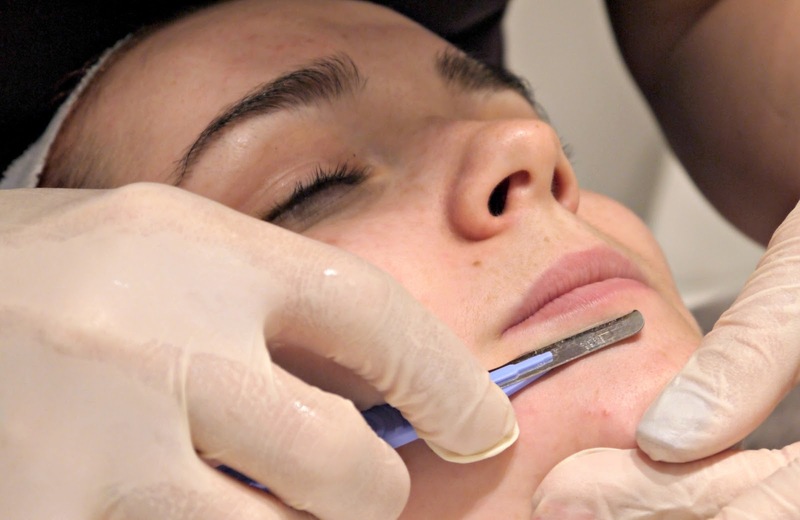 "Dermaplaning is an exfoliating treatment that uses a scalpel to gently remove the fine vellus hair (or "peach fuzz") from the face, along with the dead skin cells that can build up on the skin over time. The scalpel is held at an angle, and the therapist makes short strokes across the surface of the skin, essentially "scraping" away everything that's sitting on top of it." 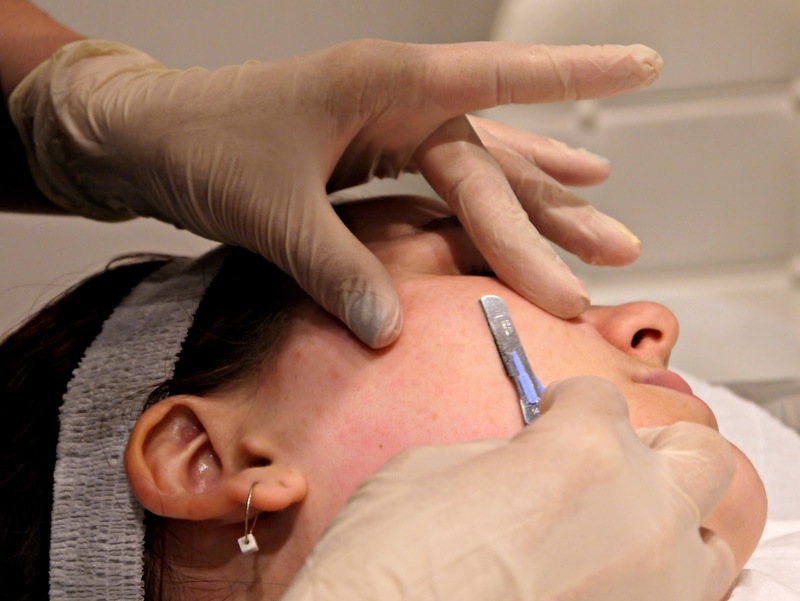 "Dermaplaning will leave your skin feeling incredibly smooth and looking radiant. Once the dead skin cells and hair have been removed, many people find that their skin is a lot more absorbent when they apply their skincare products, such as serums and moisturisers, PLUS makeup will apply better than ever before!" Antonia informed me that dermaplaining is much more suited to a wider range of people as other exfoliating treatments such as microdermabrasion is not suitable for more mature skin which tends to be thinner, as well as people like myself, with a lot of vascular redness. So as you can see, my skin is quite clear at the moment however, I do have a little bit of pigmentation by the way of freckles. Antonia began by getting my hair out of my face and cleansing my skin, firstly with a gentle, gel-like formula and secondly with a more chemically scented wipe to remove any excess dirt and oil. 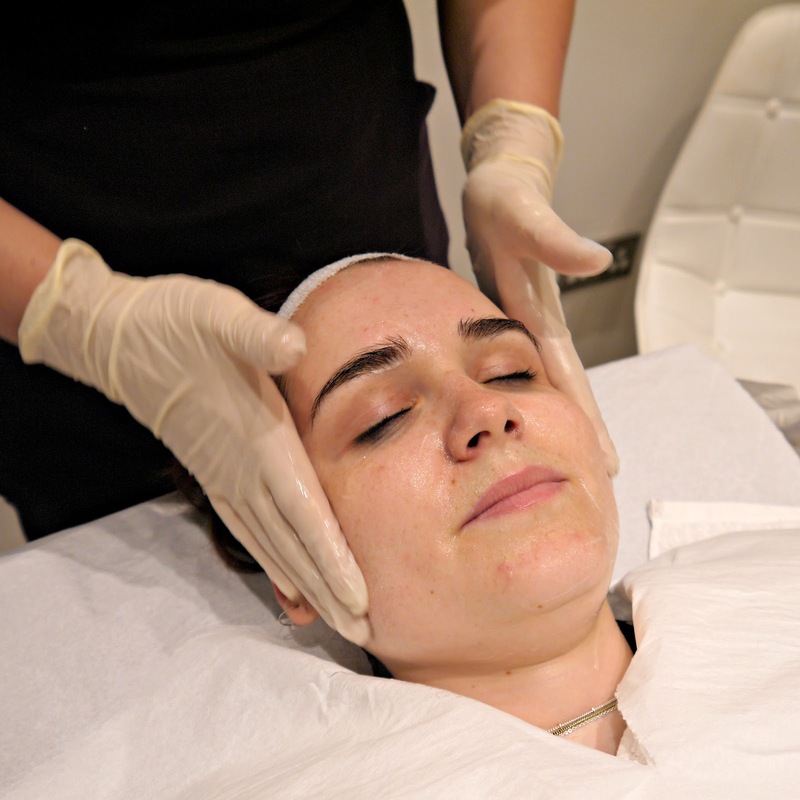 The treatment itself is carried out whilst you are laying down with your eyes closed. It involves both sides of the face being treated one after the other and with a different scalpel blade. The sensation of the blade running over your face is not painful at all and feels like somebody smoothing the edge of a credit card over your skin. It is actually quite relaxing, and when you trust your trained therapist, as I do - you know you are in safe and capable hands. As Antonia scraped away the dead skin, she continually wiped off the excess debris on a cotton pad, Antonia is a bit like me and finds extracting gory skin stuff super satisfying. All of the impurities buried underneath the layers of your skin rise up, so yep, there are a few blackheads that pop up. Seriously gross, yet seriously satisfying. A post shared by Hollie 🌿 goodgollymisshollie (@goodgollymisshollie) on Jun 10, 2017 at 8:48am PDT ! In the Insta vids I've included, you can see the sheer amount of hair that has also come off my face. I must say, it was quite a good thought to know the ole' tash and beard were going and don't worry, they don't grow back darker, coarser or thicker as it is not the same kind of hormonally active hair like the kind you get on your legs. I also opted to include a Vitamin C, salicylic acid peel within my treatment, though I think this is optional and you can swap it out for a more gentle mask if you prefer. As you can see in the picture above, my skin following the scalpel is radiant and crazy bright and glowy. The Pro-C mask is painted on with a brush and when applied, it feels like nettle stings. Antonia asked me to rate the stinging sensation out of 10 with 10 being: "get this off my face NOW." On my forehead and chin the sensation was around a 4 and completely bearable, on my cheeks (which always tend to be more sensitive) the sensation was around a 7, but not completely unbearable. The best way to describe it is like tattoo pain - uncomfortable at times but not unbearable and you get used to it. After around 1 minute, when the peel had gone tacky, Antonia applied a gauze material coated in cold water to soothe the prickly sensation and remove the peel formula. This was very cooling and satisfying and kind of made me look a little like a Mummy. lol. Following this, Antonia applied a recovery serum which contained an SPF and vitamins to encourage my skin to 'recover.' I was also instructed to lay off the make-up for the following day and maintain my skincare routine with the absolute MUST of using an SPF (at least 30) while my skin was more vulnerable and susceptible to the UVA/UVB rays. Immediate and following results... How long does it take to recover from dermaplaining? In the left picture is my skin following the treatment which took around one hour in total, just to give you an idea of redness and reassure you that my skin didn't fall off, or resemble something out of Saw. 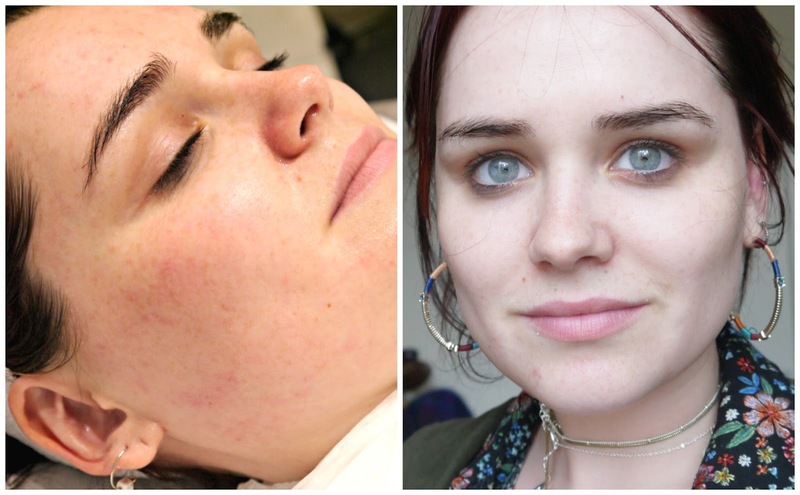 The image on the right shows my skin, make-up free, a few hours after the treatment. I cannot get over how radiant and glowy it looks, as well as being insanely bright and soft to the touch! The results speak for themselves. Even Adam who isn't usually hot on noticing treatments said that my face looked brighter and clearer. For anybody wanting to try an active exfoliation treatment I really recommend dermaplaining and should money be no object for me, I would continue to have it done regularly. 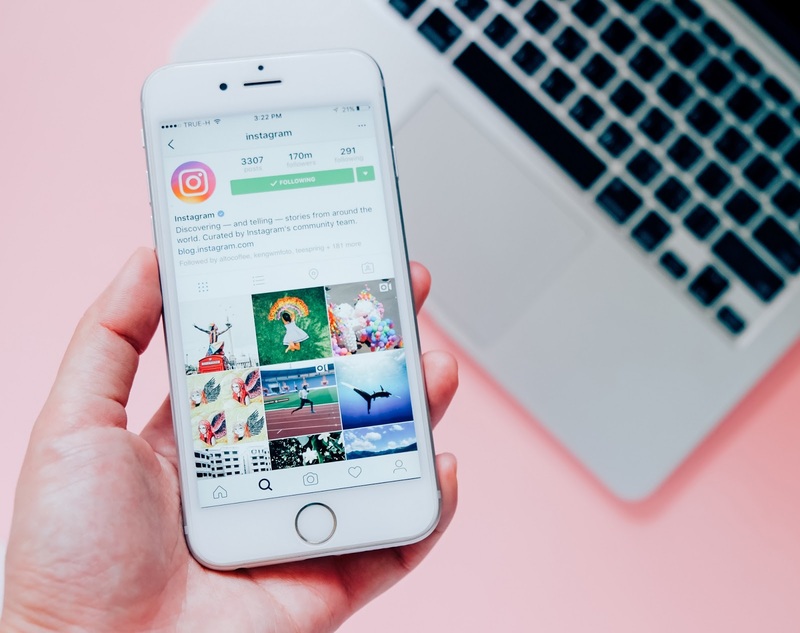 Many people get the treatment confused with 'face shaving' which it is not, as the main focus of the exfoliation is not hair removal -That is just a sassy benefit of the treatment. It is not at all painful and the results are insane. As the skin renews itself every 21 days or so, you can have this treatment monthly should you wish to in order for the skin to continue its renewal cycle. Also, note that you must have this treatment done by a professional that is qualified and trained in this particular treatment. At the end of the day, a very sharp blade is being applied to the skin! What do you think of dermaplaining?